Flirty and fun! 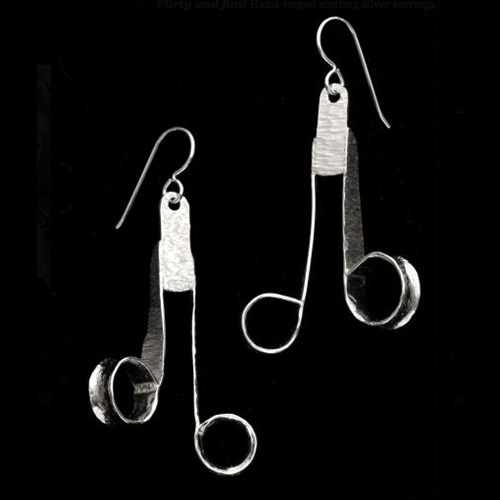 Hand-forged sterling silver earrings with more than a little attitude. One-of-a-kind. Length includes ear wire. Priced in Canadian dollars.